Home › Environment › Shopping centre sized car park at Adamstown – Back to 90’s planning. Earlier this summer South Dublin County Council undertook a review of the Adamstown Strategic Development Zone (SDZ) Planning Scheme. In total 37 submissions received including a number of residents made personal submissions as well as submissions from residents associations and local schools. There were also submissions from The Rail Procurement Agency, Irish Rail, The Environmental Protection agency, Lucan Planning Council, and the 3 developers which make up Chartridge ltd which is developing Adamstown. In May 2013 the County Manager released a summary of those submissions. It is clear from the report that all 3 developers would like to ditch the grand plans for Adamstown and return to building the failed model of 3 bedroom semi-detached housing. Essentially they want to strip out much of the social amenities, the quality finishes, the mature planting already agreed in the SDZ, so the developers/bankers can recoup some of their losses of the past 5 years and return to building “no frills” housing of the 80’ and 90’s. Yesterday I learned of a new application (link below) by Joe O’Reilly’s Castletorn (the main developer and one of the Maple 10 who were allegedly given hundreds of millions in loans by Anglo Irish Bank to reinvest in the bank’s shares). 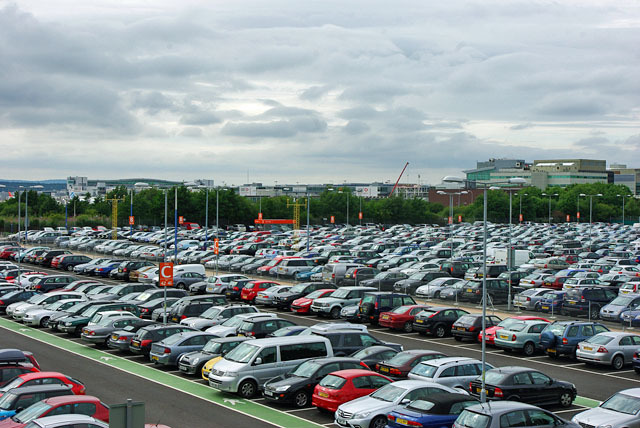 This latest application is seeking permission to build a temporary car park for 4 years containing 2,900 car parking space and other auxiliary services. It goes on to say that ‘Intel employees using the Park and Ride will enter and exit the facility via Station Road having entered Adamstown via the Outer Ring Road and the Adamstown Link Road’ However the report omits that some of this traffic will also make it way to through Lucan village and the surrounding estates. A small carrot to the community of Adamstown is that a number of roads previously permitted in the Adamstown will be completed. Most it must be said to only facilitate the development of the proposed car park rather than residents needs. The proposed car park will take up an area of 8.4 hecatres (21 acres) to give you a comparison Stephens Green covers a similar area. It is shocking when you compare this proposal to alongside the major shopping centre car parks. All these centres were designed in close proximity to the M50 with feeder routes and a traffic management plan to cater for peak volumes. 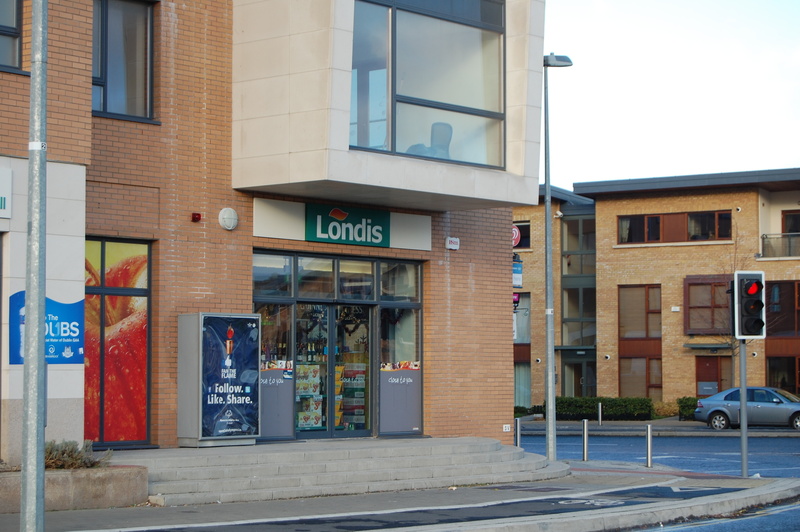 This proposal plans to drop a shopping centre sized car park into an existing community, the results will be gridlock for not just the residents of Adamstown but the entire Lucan area. The proposed car park is situated close to 3 schools in Adamstown and represents an increased risk to the safety of children in that area. Tandy’s lane and the Dodsboro cannot deal with any increase to traffic in that area. It took over 15 years to sort out grid lock in greater Lucan area This proposal presents no benefits for Adamstown/Lucan what so ever – it’s not a case of NIMBY (not in my back yard) the location for this a park and ride is entirely the wrong its based on revenue only. It’s yet another example that the developers have given up on the master plan for Adamstown and having no consideration for those who bought into the vision of Adamstown. It only purpose is to generate a revenue stream on the Adamstown lands, what’s next a compound for a waste facility or maybe a truck depot? This car park never was part of any SDZ plan so why is this application being made? in fact it appears the SDZ has become more like a la carte menu for the developers to cherry pick and even add in new items as they desire. Maybe your local councillors and TD’s can shed some light? This monster car park is detrimental to Adamstown and the wider community of Lucan and should be stopped. The Adamstown model was a good one and still is, the reason it stalled was because the market crashed and indications are it is slowly recovering so stop tinkering with the original plan. Lets face it Tom, Adamstown is finished. There will be no shops, parks, swimming pools etc,. The only building that will be built are the houses like he ones that have been built beside the shops, asking price €195,000 (over priced for cardboard houses) as for this car park, it will go ahead regardless, it would seem that we have no say in what happens in our “estate”. The developer has only one thing in mind, PROFIT and feck those of us who bought properties on a promise of this great town being built. Anybody who buys in Adamstown would be crazy in my view. No amenities, packed with houses, over priced management fees, no resident parking due to a massive shortage and some people taking up 5 spaces fixing and selling cars. We could try organise ourselves to protest, but here is the problem, there are more properties being rented both private and county council than their are owner occupiers. This means that there are not enough people to matter! As for the residents “committee” is their one? who are they? what do they do? RIP Adamstown, it was great while it lasted! It is ridiculous to have such a Car park – we must stop as a community.